DP World is exploring the possibilities of further optimizations of its operations through remote container crane operation. 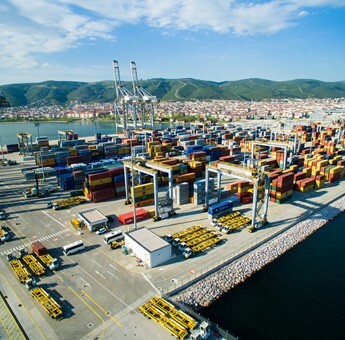 The DP World Yarimca container terminal, one of the largest container terminals in Turkey with 1.3M TEU capacity, will upgrade two of its RTGs to test the viability of remote operation. DP World Yarimca is already the leading operator in terms of technology and automation deployment in the Turkish market. 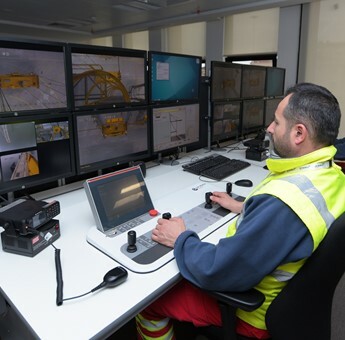 A Vehicle Appointment System (VAS) is linked with an Optical Character Recognition (OCR) and Real Time Location Sytem (RTLS), whereas on the waterside, the Ship-To-Shore cranes are already remotely controlled from the administration building. The remote-control functionality on the latest generation electrically powered Konecranes RTGs would further enhance the effectiveness of the terminal which is already offering superior productivities in its market. The upgraded RTGs will be remotely operated from two Remote Operating Stations (ROSs). De-coupling the crane and operator is an important step towards the next generation of lifting. The operator can become much more productive, and the productivity of the entire crane fleet can be improved. The upgraded RTGs are scheduled to be operational at the beginning of next year. Kris Adams, CEO of DP World Yarimca, confirmed that the introduction of this new technology, which is a proof of concept for the DP World organization, is another milestone for DP World Yarimca in providing cutting edge technology in its operations which are already considered the most productive and efficient in the market. Adams also pointed out that innovation is a key value to DP World in its capacity as global trade enabler. In an industry that operates in a very traditional way for many decades, important efficiencies can be obtained by new technology and digitization, further enhancing the relationship with the shipping line and the Cargo owner. DP World has invested $550 million in its 46 ha large Yarimca terminal. The terminal provides today 2 berths able to accommodate 2 of the Ultra Large Container Ships (ULCS, 400 meter) simultaneously.